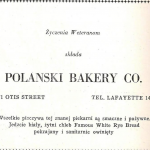 After World War I, many veterans who fought in that war and were of Polish descent started to form organizations throughout the United States. The purpose of these organizations was to keep up the social contacts and to give service to needy comrades and their families. 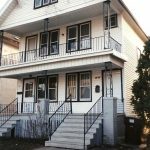 In 1926, World War I veterans Andrew Stec and Anthony Urban of the west side Detroit area called for a meeting for this type of organization. 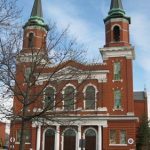 Announcements were published in the Polish Press and the first meeting was held on August 20, 1926, at the Dom Polski Hall at 3426 Junction Avenue. The response was great and an Organizational Committee was set up consisting of Andrew Stec, Anthony Urban, and Andrew Kasprzycki. On August 27, 1926, the Organizational Committee presented rules and regulations and adopted the name “Veterans Club of the American Army.” The first elected governing body was made up of Commander Andrew Stec; Adjutant and Financial Secretary Andrew Kasprzycki; and Treasurer John Przewozny. Successive meetings brought about an approval that not only those veterans who served in the Armed Forces of the United States during World War I but also those veterans who served in the Armed Forces of the United States after World War I could be eligible for membership. To uphold and defend the Constitution of the United States of America and all the principles for which it stands. The membership in the Club expanded tremendously and through various social functions built a reverse financial fund. In 1928, the State of Michigan granted the Club its first Charter of Incorporation. Thus, the Club was able to participate officially in functions of Veterans Affairs, Public Holiday Celebrations and demonstrations of a patriotic nature. After the First State Convention the Club name was changed to “WOODROW WILSON VETERANS CLUB.” It was with respect and honor that the Club honored the former President, who helped regain freedom and independence for Poland after World War I. On September 5, 1931, the First National Convention was held in Cleveland, Ohio. It was a consolidation convention called to unite throughout the United States the various Polish American groups into one great organization. The Club sent a full delegation with other delegates from Michigan and was joined by delegations from the States of Ohio, Illinois, New York, and New Jersey. At this convention the delegates adopted a resolution calling the organization the POLISH LEGION OF AMERICAN VETERANS and adopted its first national constitution. 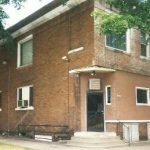 WOODROW WILSON VETERANS CLUB was then designated as WOODROW WILSON, POST 2, POLISH LEGION OF AMERICAN VETERANS. Also at this convention the Ladies Auxiliary was organized. It was known as the Ladies Legion prior. On March 30, 1933, the LADIES AUXILIARY CHAPTER 2 OF WOODROW WILSON POST was organized. The members carry out and assist with the various social functions of the Post as well as in the mutual aid and assistance to the many veterans in hospitals. 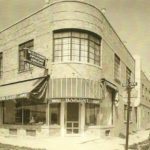 On September 15, 1934, the appointed Building Committee purchased a two-story brick building for its Post home at 8444 Michigan Avenue at the corner of Ogden. It was with hard work and sacrifices by its members that the mortgage was paid off in a few years. During World War II the Post ceased activities and social functions and devoted its time and effort to patriotic activities and aiding the war effort. After World War II and the Korean War, membership rose and once again the Post had many civic and social functions. In 1961, the Post celebrated its 35th anniversary with many of its older members in attendance. 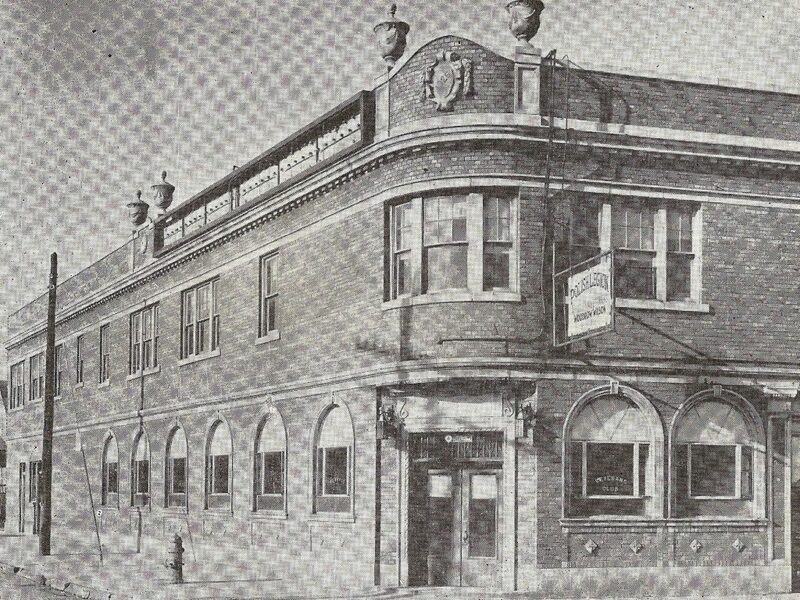 Shortly thereafter the building on Michigan Avenue was sold and WOODROW WILSON POST 2 P.L.A.V. merged with Post 75 P.L.A.V. on Greenfield Avenue. Information derived from P.L.A.V. Memorial Books: 1935; 1939 – 9th State Convention PLAV; 1941 – 15th Anniversary; 1961 – 35th Anniversary.